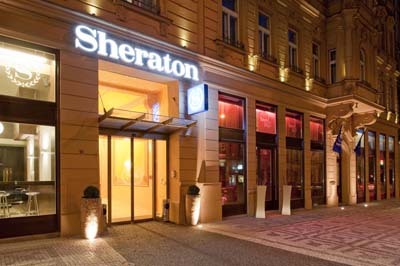 Building Description: Welcome Sheraton Prague Hotel with us to the Starwood hotels family - as the first property in the Czech Republic. We’ve got everything you need to make your stay a memorable one, whether you’re visiting for business or pleasure. Two meeting rooms, a restaurant and café, spa and fitness facilities, and a rooftop terrace with views of Prague Castle are just the beginning. 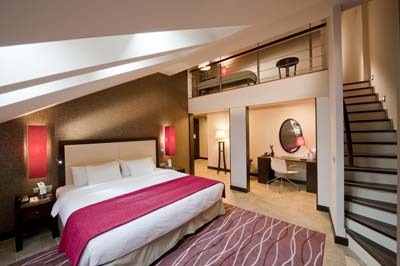 Our hotel will also provide many round-the-clock services, allowing accessibility, flexibility, and convenience. The Link@Sheraton experienced with Microsoft is near the lobby and lounge area and offers a signature space to work, relax, unwind, and connect. Explore our great surroundings – main tourist attractions such as the Wenceslas Square and Charles Bridge can be reached within a 5 - 10 minute walk. The central railway station which provides connections to other destinations in the Czech Republic and central Europe is located one kilometer from the hotel. Prague’s International Airport is approximately 30 minutes away. Accommodation: Sheraton Prague Hotel provides 160 rooms including 38 suites, situated in 4 contiguous buildings from the 19th century, French restaurant Brasserie Délice, Diamond`s Bar, Spa & Fitness, Club Lounge, 2 meeting rooms and a rooftop terrace High 8 with a breathtaking view over the Prague Castle. High Speed Internet Access in all guest rooms and the business centre will keep you connected to what’s important. 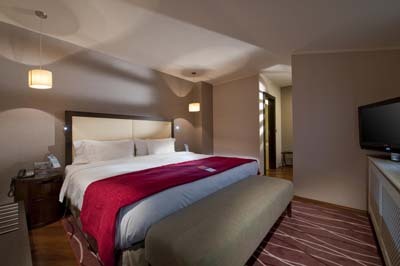 Experience the celebrated Sheraton Sweet Sleeper(SM) Bed, surrounded by the warm, comforting feeling of each guest room. 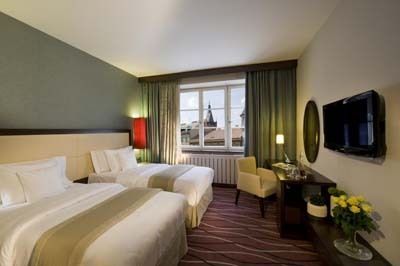 Location: The Sheraton Prague Charles Square Hotel is ideally located on the edge of the Old Town and New Town, just a few steps from the Charles Square and the central business district. Our hotel is close to all major museums, galleries, and famous theatres.Located just a few steps away from the famous Wenceslas Square, Old Town Square and National Museum, Sheraton Prague Hotel has the best location for your stay in the heart of Prague. The main sight of Prague, the Charles Bridge, can be reached within 15 min walking. If you`re looking to live in Prague for an extended period of time, we suggest you to stay at Sheraton Prague Charles Square Hotel for a comfortable stay. Move and Stay allows you to book easily a Prague apartment, whether you`re looking for a serviced apartment, an aparthotel, or a residential apartment for rent. 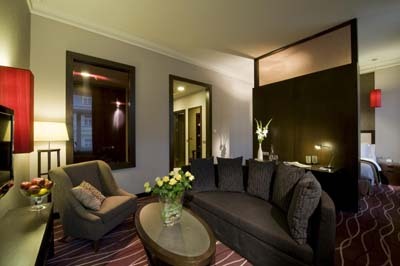 Many of our Prague serviced apartments come with full accommodations, including a full kitchen and a lounge.